To celebrate the start of spring and soon to be another incredible summer we want to do something extra special for all the Tropical House producers around the world. ‘Tropical House Massive Bundle’ is the ultimate dive of lush and sun soaked sounds for NI Massive. 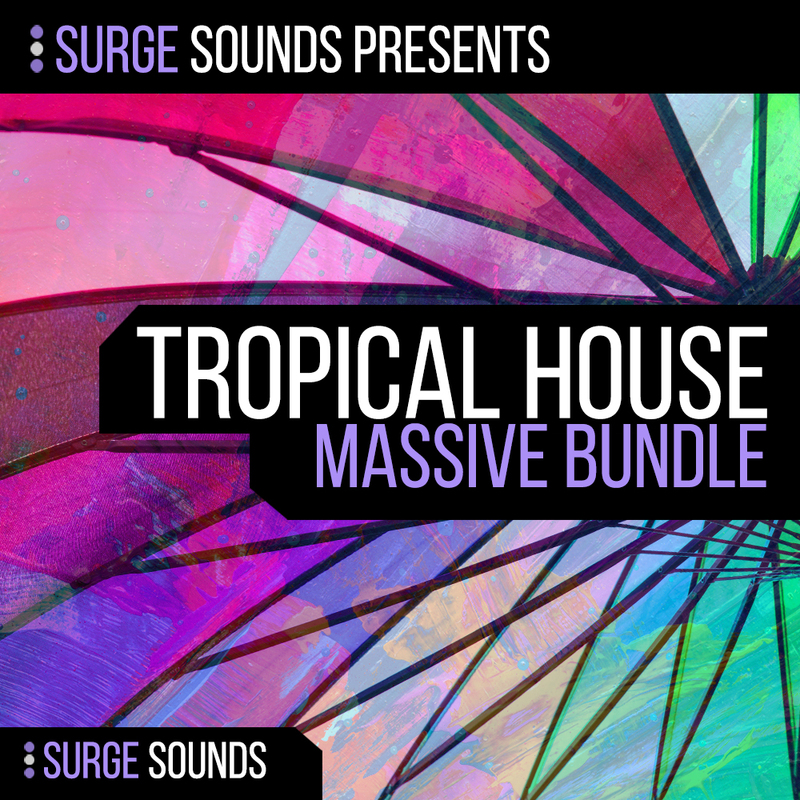 This bundle contains 4 of our hit Tropical House packs in 1 MASSIVE Bundle. This remarkable collection consists of 292(!) 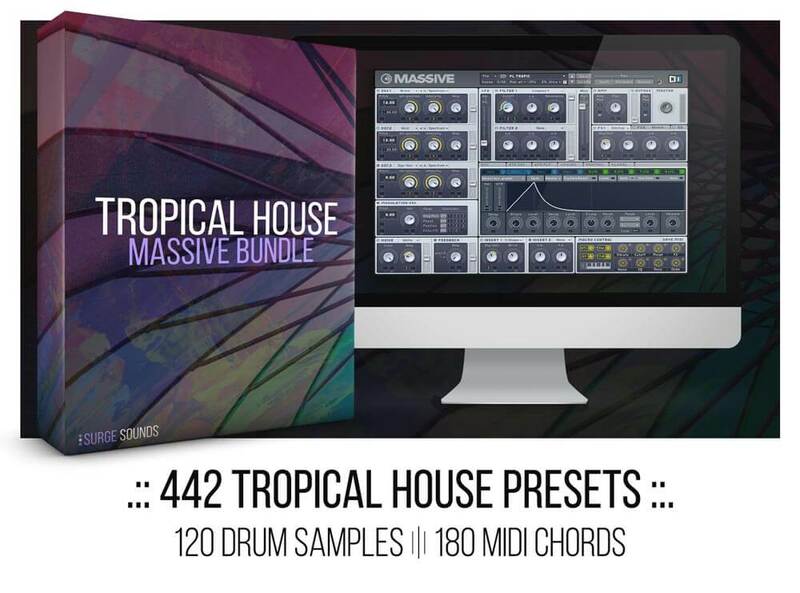 expertly crafted and extraordinary presets for NI Massive that will inspire you to create this summer`s Tropical House hit tunes. 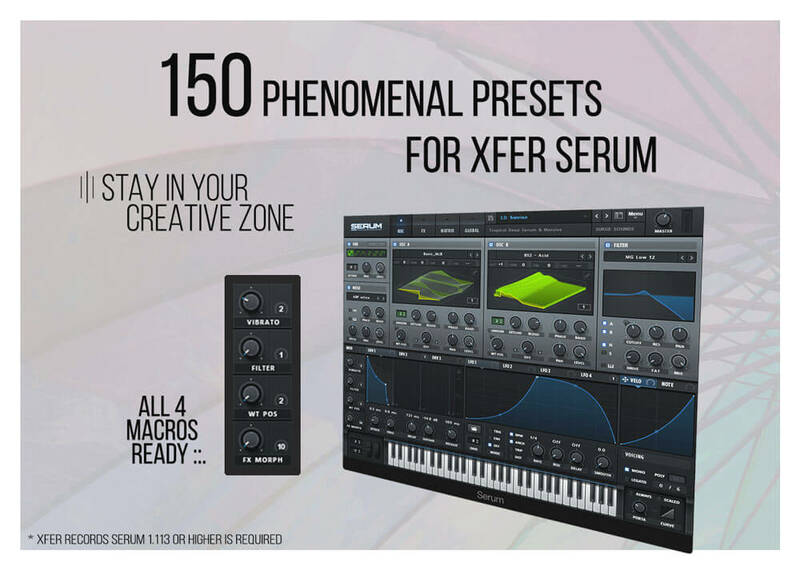 All presets are crafted by top level sound designers with the most current sound design techniques bringing you a collection that you just cannot wait to start producing with it! We also included a ton of inspiring bonus items listed below. Each sound was inspired by extraordinary artists like KYGO and Thomas Jack plus many other ground breaking Tropical House artists we just can`t get enough of. On top of this MASSIVE soundset we are adding our pack ‘Tropical Deep’ which includes 150 phenomenal presets for Xfer Serum. It also includes 120 Bonus Drum Samples and 180 MIDI Chords. This brings the total preset amount to 442(!!)! Just imagine when you have access to the same quality of sounds as all the top Tropical House producers have, you be playing at festivals in no time. If you are looking for the ultimate Tropical House collection to spark your creativity giving you tune after tune, this is the ultimate soundbank for you! Take the advantage and be ready for this summer!
. :: Tropical House 2 ::.
.:: Tropical House 3 ::.
.:: Tropical Deep House ::. 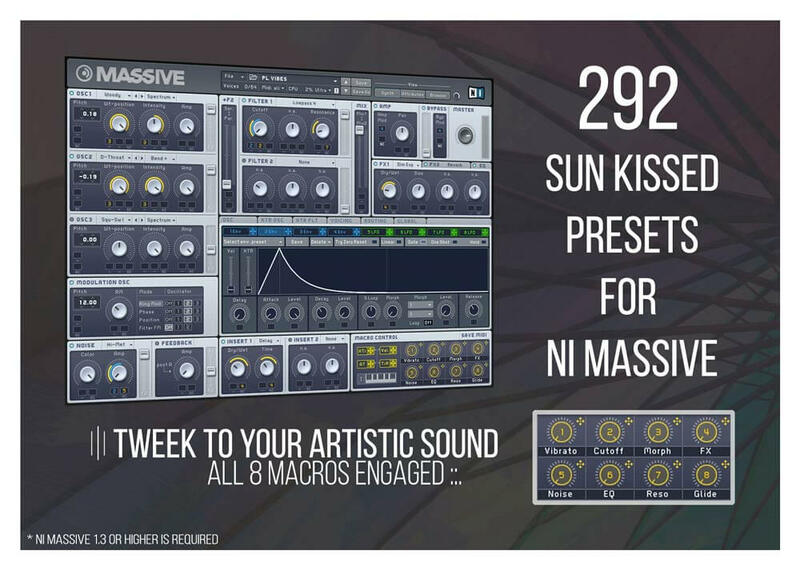 NI Massive 1.3 and Xfer Serum 1.095 or higher is required.